My workflows oftain start with a problem that I need to solve. I have a gravel foot path that goes between my house and my shop area. While I do have solar powered motion lights that track me as a move between the house and the shop, I like to add the Christmas lights during the winter months. 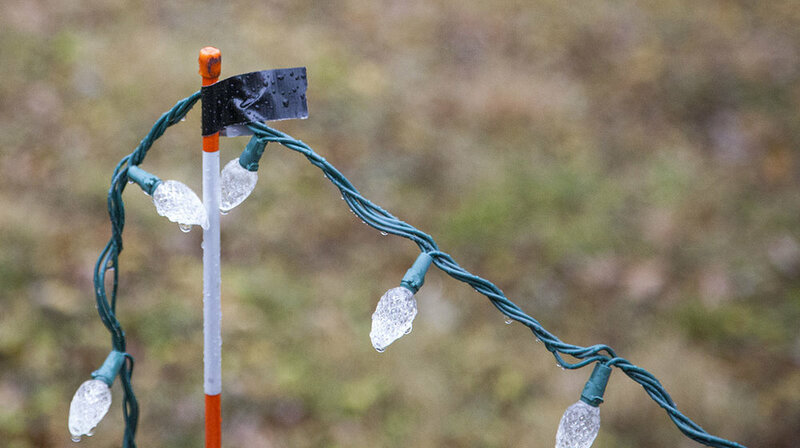 I need a better way to hold my stranded lights onto a set of driveway markers. In the past I have used heavy duty (and expensive) duct tape to hold the lights in-place. So the idea is to design a simple cap that I can slip over the top of the driveway markers. The first step in my design process is to check to see what materials on hand. For this project I selected some cellular PVC. This stuff is sold in most home centers. I purchased mine from Home Depot. 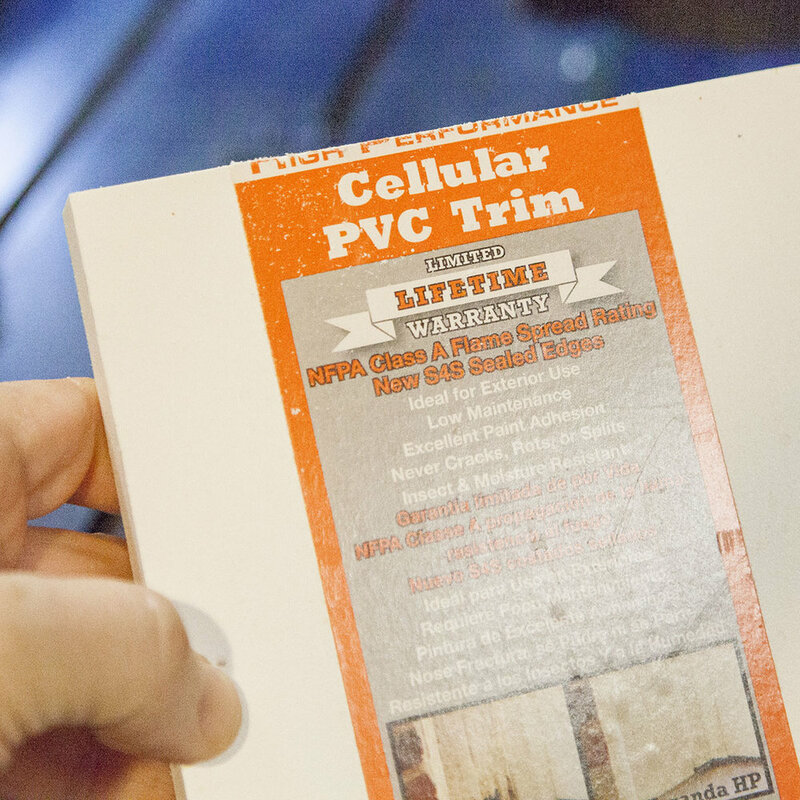 Its “Cellular PVC Trim”. It’s 3/4” thick and 5-1/2” wide. For this project I need a little over 20” of it. Note that Home Depot also sell various sheets of cellular PVC in various thicknesses. While not the most rigid of materials, it does hold up to weather. Their are a number of ways to design your part. 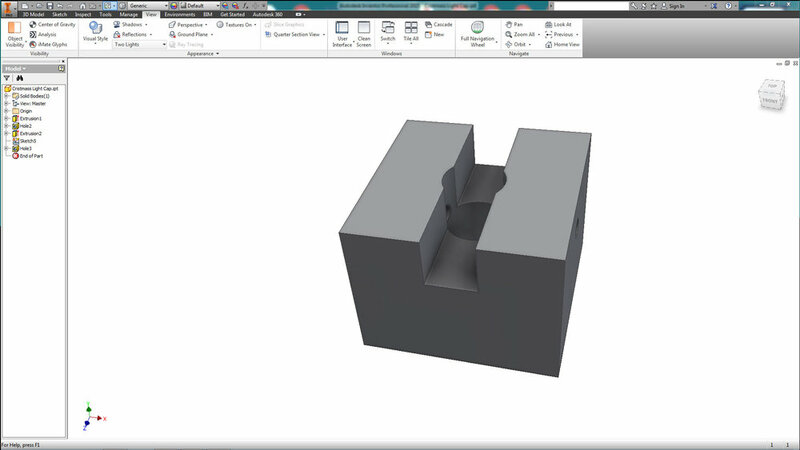 In this case, I wanted to visualize the completed part, so I designed it in Inventor. 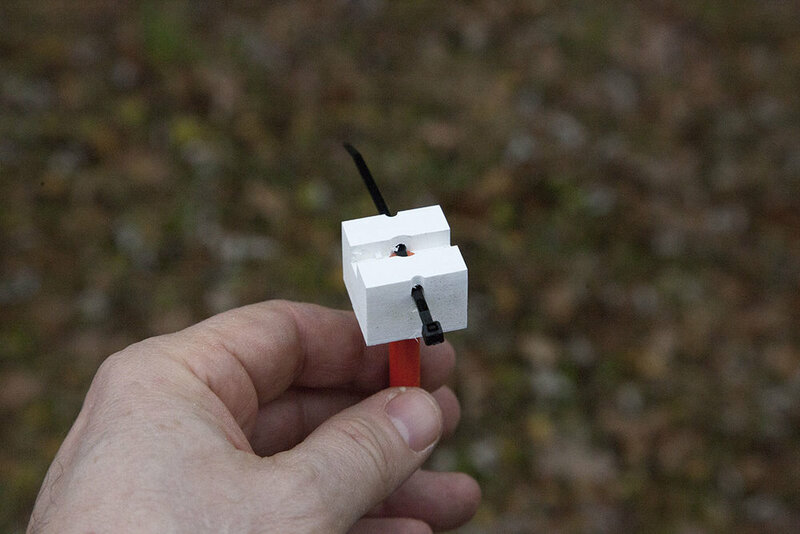 Its a simple cube 1” x 1” x 3/4” thick. In the center is drilled a .31” hole that will slip over the end of the driveway marker. There is also a 1/4” trough that will aid in keeping the string light in-place. 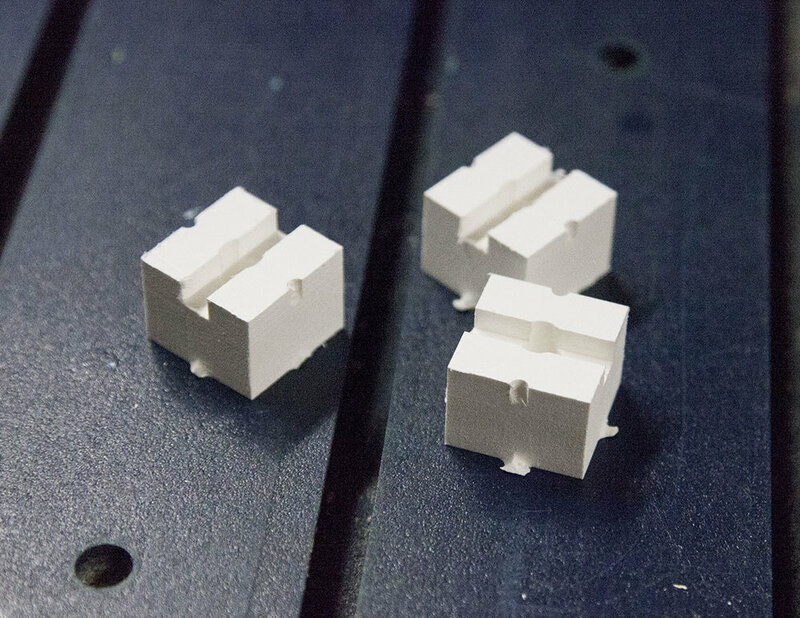 perpendicular to the trough is a 1/8” that protrudes through the cube. There are a couple CAM directions I can go with this part. For this particular part I find Vcarve to be my CAM software of choice. While Inventor can export a file that can be loaded into Vcarve, I find I oftain want to do some intermediate tweaking. In this case I loaded a PDF export from Inventor into CorelDraw. I replaced most of the geometry from Inventor with my own. In a sense, I used the Inventor export as a guide to create the geometry from scratch. I decided to cut three of these at a time, so these changes were done here as well. Once I have my new geometry all set I export to a file format that Vcarve can handle. In this case it’s EPS. I load the EPS file into Vcarve, and set the thickness and size of my stock. I will be using a piece of 3/4” stock that’s 5-12” wide by 2” long. One of the things I like about Vcarve, is its ability to accurately show the machined part. 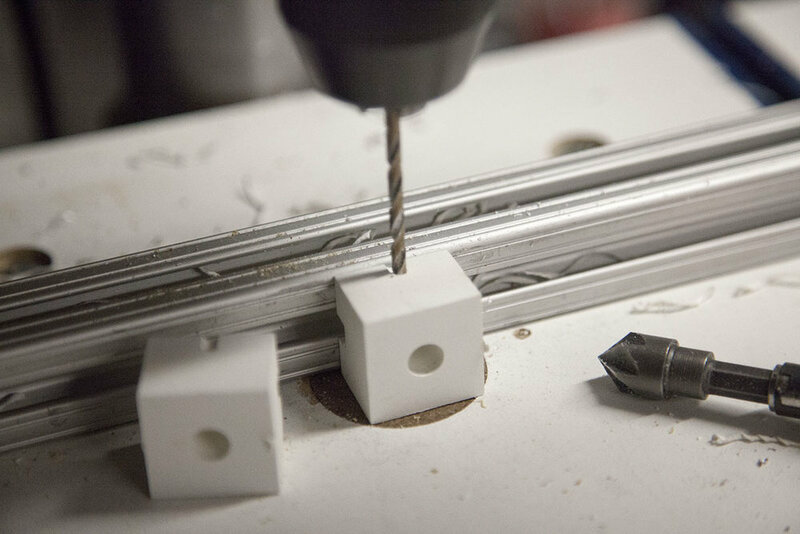 I decided to use one of my CNC Construction Set machines to make these parts. 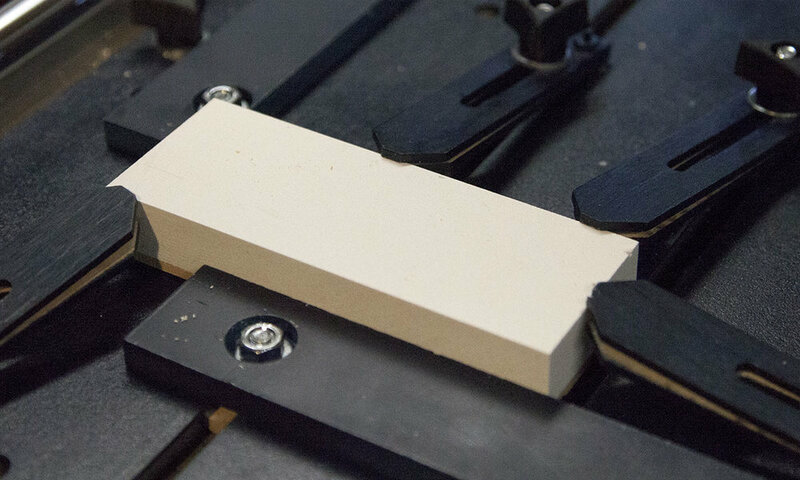 Here I have clamped a piece of 5-1/2” x 2” x 3/4” on to my machine. Under the stock is a piece of 5-1/2” x 2” spoilboard to keep from damaging my table top. The X and Y axis are zeroed to the left front corner. And the 1/8” end mill is zeroed to the top of the stock. 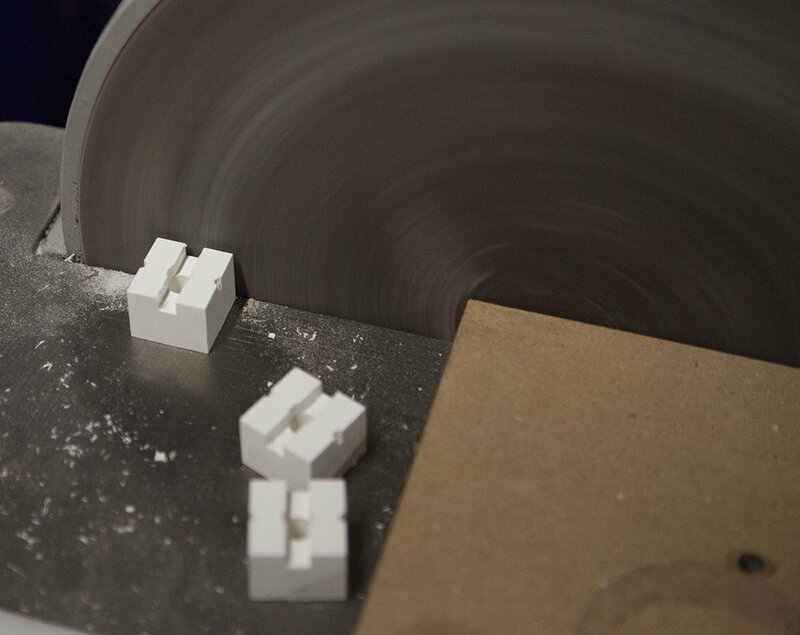 I started the a milling operation on the light side. I then increased the speed. With these new settings it was only taking about 7 Minutes to cut a set of three. The parts will need a little cleanup. The parts are removed from the stock. I remove the tabs with a disk sander. You can also use a pair of diagonal cutters or a rotary tool for this task. To complete the part a couple 1/8” holes need to be drilled on the sides of the part. There are a couple small divots to help locate the hole position. To use the cap, I insert a small 4” cable tie into the holes I drilled in the sides of the cap. This cable tie does two things. First it keeps the cap from sliding down on the driveway marker. Second it is used to hold the lights in place. The rubber caps on the driveway marker needs to be removed. Slip the cap over the marker. Add a cap to each marker. Place the light strand into the trough. Connect the cable tie to secure the lights. Once the new caps were in place, it was a simple mater to add the lights.